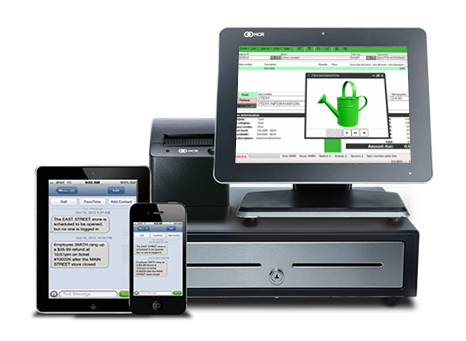 Complete point-of-sale solution (software and hardware) built for garden centers, nurseries, greenhouses, and landscaping businesses, including: inventory management (mix and match flats, bulk purchases, combo items for planters and baskets, tracking dead count), barcode management and printing, landscaping services (delivery, installation, recycling, design services, invoicing, etc.) reporting, labor management (time tracking), eCommerce, gift card and loyalty programs, and more! Cons: I can't say there are any significant red flags through our first year using Rapid POS. If I had to find fault with anything, I have made errors on a few invoice entries and after they are posted I can not amend them. Overall: By switching to Rapid from our old software it has increased productivity and made daily tasks much easier. We appreciate all of your kind words. We have immensely enjoyed working with you and the team at Allisonville Nursery. Partners like you are the reason we do what we do (and have a smile on our face doing it). In response to your issue with amending invoices, I have opened a support ticket and you should be hearing from a member of our team shortly to dig in to how we can help. As always, any time you are experiencing an issue with Counterpoint, reach out to our help desk at support@rapidpos.com. We spent a long time preparing for the new program, but have still had many issues. Pros: There is much better tracking of transactions, and better reports available, than our previous software. Cons: There are sometimes things that are not as easy to use as we would like. Also it sometimes "forgets" changes we have made, or has other issues that have to be dealt with. I We have not been happy overall with our vendor's handling of the issues or knowledge, although they have solved the issues. There have been issues we should not have had, and/or that they should have been better equipped to solve. We are sorry to read about the frustrations you are having with your software and the level of service you expect to receive from our team. We take customer service issues very seriously, so we intend to dig deeper into where we may have dropped the ball and how we can make good on our promise to give Swanson's A+ service. Please expect to receive a phone call from our management team to discuss your concerns in detail. We value your business and look forward to resolution. Pros: I like being able to take away many of the "manual" functions my staff was doing with our previous system. It's capability is more than we need at the moment, but we will definitely grow into it. The user interface is very user friendly for my staff that ranges in age across the board. Cons: I'm struggling with the price rules function - it doesn't seem to be as user friendly, but we're still in the building process for our business. I know it can work, but it's not as easy as the tutorials make it seem. Overall: We're able to remove so many manual functions from our staff that it will help with operator error and making our customers feel more secure in our business. It's helped to ease lots of problem that we were having in the past. We are SO thrilled that Goebbert's selected Rapid Garden as your trusted partner. Your feedback is especially important to us from the perspective of a customer that is currently in our implementation process. As you know, there is so much to learn in a limited time frame and we do our very best to not overwhelm anyone (mastering a few things at a time is much easier than us throwing the book at you all at once). With that, I've alerted our training team to evaluate our tutorial video on the price rules function to make sure that it showcases the best process for learning this feature of Counterpoint. I'm also pleased to learn that Nelle has already worked with you to dive a bit deeper on this particular function! Good software, but it seems to always be in production, and never in quite the finished state. 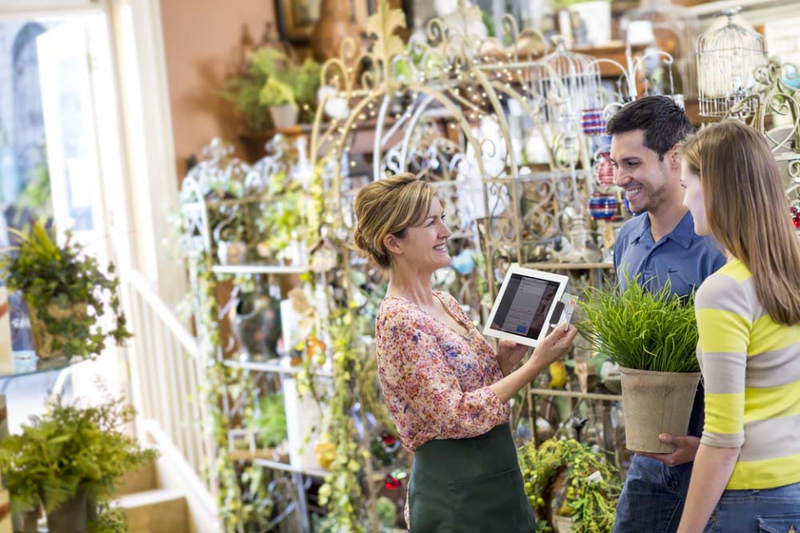 Pros: Easy to learn and use for sales associates and cashiers. 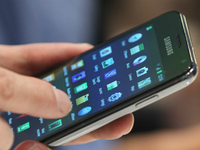 The touchscreens make looks-ups and repetitious sales quick. Cons: I don't know if Counterpoint is improving itself. Updates cause problems EVERY time including printing, slow use, non optimal default settings reappearing . New hardware (terminals, printers) do not work as well as like the old ones, so we're constantly fixing repeating problems. all printers do not print the same - its like the template was rewritten for the new generation without consulting the old. ALSO: The Ingenico chip readers are a disaster - slow, expensive and not user friendly. When a card is inserted before the transaction is entered completely, the system freezes. Customers are used to inserting at any time, but ingenico wont allow it. Then there are poor user prompts on the customer side and no matching prompts to let my cashiers know what needs to be done. ALSO PART 2: We were sold on a system that produces reports, but there is no easy way to find the reports that are available. Then it seems that our vendor often has to learn them themselves and then send it on to us. A list of important reports or a how to would be helpful. Overall: Easy for cashiers to learn. We have customer histories now, and know what customers bought previously. Prices are constant. Net accounts easily tracked. Inventory is better tracked, but not exact. 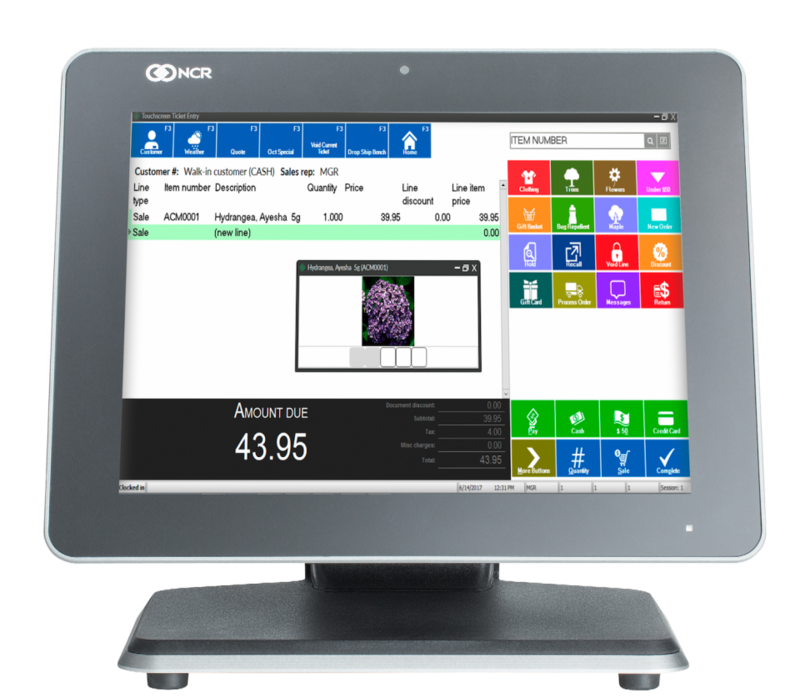 Solid POS software. Easy to learn. POS transactions are pretty easy and quick to process. Pros: 1) I like the open API. It allows us to easily pull data from CounterPoint to use in other applications. 2) The button interface is intuitive and you can move through menus quickly. 3) The import function in data interchange is a powerful tool for updating and adding information to the database. 4) The merchandise analysis report is very useful for out buyers and for inventory management (although we did have a couple modifications done). Cons: 1) There is not good reporting in the purchasing module. There is no open PO report and no expected delivery report. 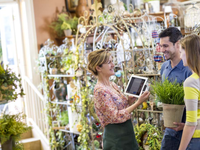 It lacks some basic tools that are part of the merchandise management process. 2) The software is not a good fit for all the elements of our business. We are running a design/build landscape business and a farms production/manufacturing business. Their needs are not well met by Counterpoint. We do a large amount of our work outside the system through MS Access databases. 3) The system is very basic out of the box. Quite a bit of customization is needed to fit a business model. 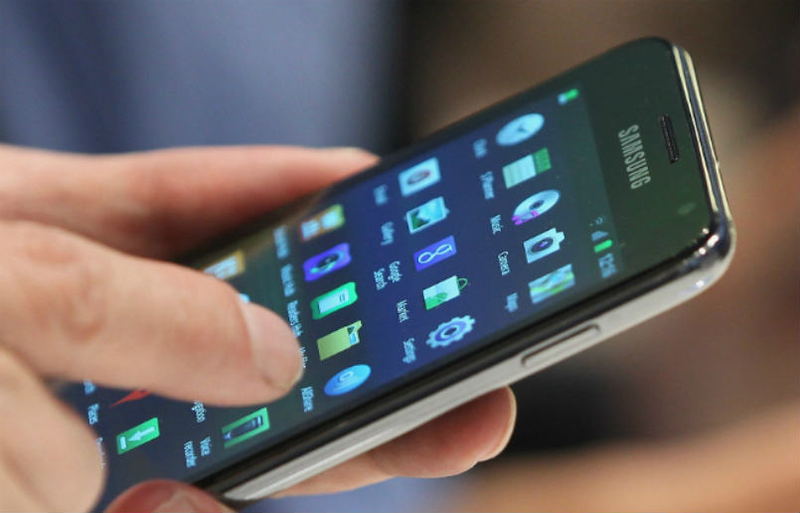 It can become quite expensive to update and maintain the software. 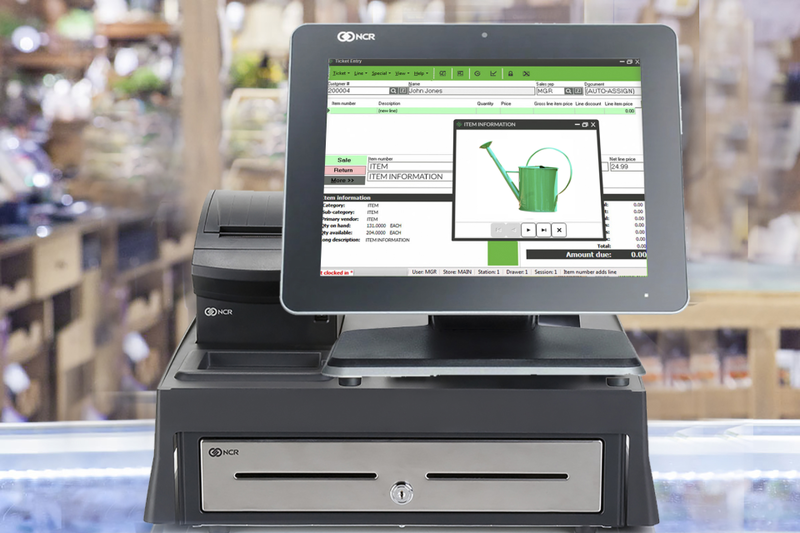 Overall: It is an upgrade from the POS system we used previously. 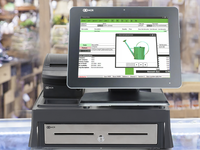 It is good for our retail sales operation and has made checkout transactions easier. Training and implementation has been smooth. Response time to questions is fantastic. Pros: Everything is logical! The color coding in point of sale is helpful and the software is adaptable to my specific needs. As a small business where I function as the IT department along with my actual job, it has been easy to set up from a hardware standpoint and the entire Rapid team is there to assist when questions arise. Cons: I would not classify it a con in regards to the software but it is a significant amount of information to learn. It requires attention to training and commitment to learning the processes. We are thrilled that you are pleased with your decision to partner with Rapid! It's been wonderful working with you and the Farmer's Daughter team to deploy your new POS system. We 100% agree that learning new technology requires commitment and patience (you've got a system with a lot of horsepower, but you have to learn how to drive it before you can really see the impact on your business). Cheers to a successful partnership! Overall it's a very good POS system. It took me some time to learn my way around it. Pros: Mistakes are visible sooner than later. New employees pick it up quick. I work in more of the accounting side, so there are a lot of features that I like. Not being able to look up an item and see when we purchased it last and from what vendor. We appreciate you reviewing Rapid Garden POS and we are so happy that your are pleased overall. We agree that learning the ins and outs of Counterpoint takes some time. The investment will pay off! I've created a ticket with our support team to help walk you through item look-up and how to do the detailed searches. The information you are seeking exists! Any time you are having trouble and need a bit of assistance, please reach out to support@rapidpos.com. We are always here to help. 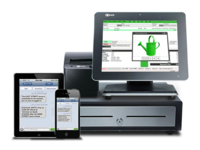 Rapid Garden POS has been great to work with. Pros: Very user friendly. Very intuitive when loading items to set up program. 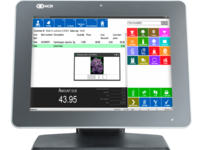 Large icons make it visible when working on the POS system. Cons: When doing look ups, would like to be able to type in part of the word and have it pull up options. The great news is that Rapid Garden POS does partial look-ups (in fact, I just tested to make sure I wasn't incorrect). I spoke to Nelle and she has made a note to show you this during your next training session. Related, we appreciate you giving us feedback while you are still learning how to use Rapid Garden POS and Counterpoint. It is very helpful to us in better understanding where we can fill in some gaps during our education process - good news for you is that you still have a slew of sessions yet to come. We can't wait for you to learn more!